In 2026 there will be a cumulative installation of 14,850.7 MW of new ESMG capacity with revenue of approximately $22.3 billion in revenue. 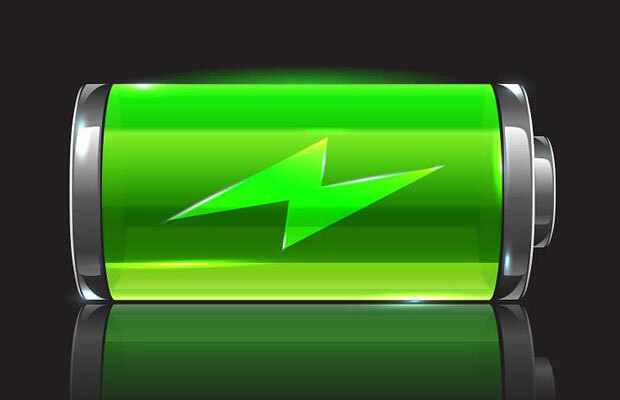 The installed capacity of energy storage for microgrids is expected to increase dramatically over the next decade, with nearly 15GW of new cumulative capacity and revenue worth $22.3 billion, according to a new report from Navigant Research. The report’s key highlight predicts that through 2026 there will be a cumulative installation of 14,850.7 MW (megawatts) of new ESMG capacity with revenue of approximately $22.3 billion in revenue. Total annual capacity additions will increase from 238.4 MW in 2017 to 3,291.8 MW in 2026, led by the Asia Pacific and North America regions. Specifically, a cumulative 5,847.7 MW is expected to be installed in North America, and 5,572.6 MW in the Asia Pacific region. 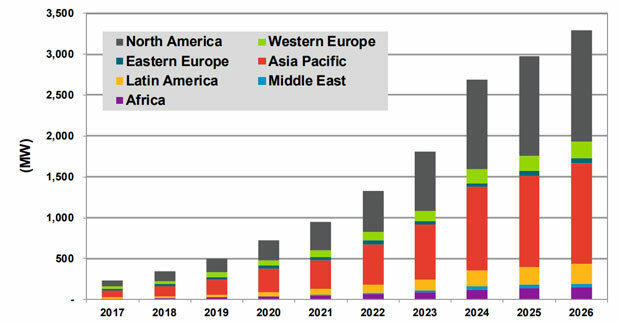 Further, Navigant predicts that there will be “significant growth” across all microgrid market segments, led by the remote microgrid segment — remote systems being installed for village electrification, commodity extraction operations, and strengthening grid reliance on islands.